If it’s your first time skiing or boarding, we have a few tips to make the experience positive. Ensure everything will go as smoothly as possible by being prepared and by knowing what to expect. If it’s your first time coming to Laurentian Ski Hill, come to the upper chalet at 15 Janey Ave. This is where the rental shop is located and, the beginner hill is at the top as well as well as our friendly and helpful staff who are happy to answer any questions you have so please feel free to contact us if you have any questions. Skiing is no more hazardous than riding a bike or playing tennis. Modern equipment such as shaped skis and release bindings have made skiing safer and more enjoyable. And we have all your equipment needs in our rental shop. Our instructors will teach you how to slow down, stop, turn and ride the beginner lift during the first lesson. A second lesson is highly recommended to introduce you to the main hill and the chairlift. Skiing skills tend to progress quicker than learning to snowboard as snowboarding is a bit more difficult the first time. The learning curve for both is much easier once you get started. How Can I Check Current Conditions? Current Conditions are updated daily on our website during the ski season by 6:30 every morning www.Laurentianskihill.com . A summary of the conditions are also tweeted (@laurentianski) and posted on our Facebook page. It’s not as expensive as you might think. Need a lesson, rental equipment and a lift ticket? Our Discover Program is the perfect place to start with prices from as low as $39 a person or $135 for a family of 4. Click here for more information. We also offer Family lift ticket and Family lift ticket and rental packages. Taking a lesson or two is highly recommended, giving you peace of mind before you practice and set out on your own. Our instructors are trained in ways to help you learn quickly so you can enjoy the rest of your day. When Should I Call "Last Run"? 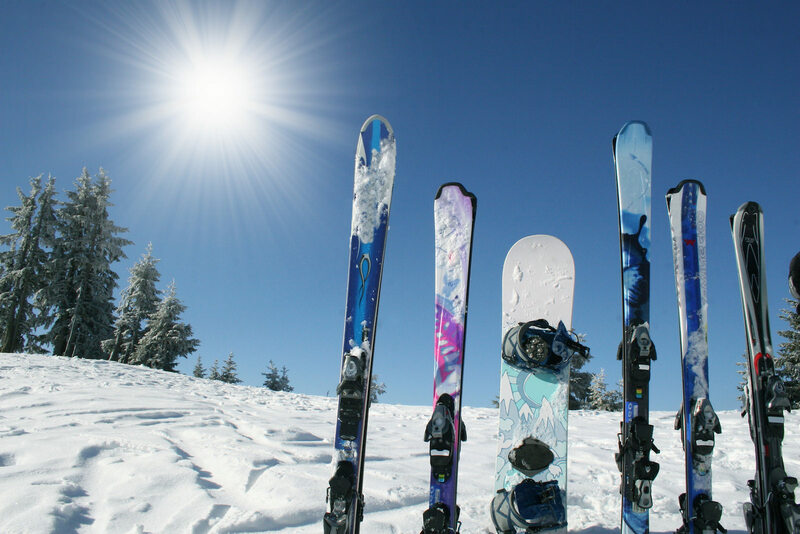 Skiing and snowboarding involve lots of physical exertion, you’ll be tired toward the end of the day. This is when concentration can slip and accidents might happen. If you’re tired, pack it in for the day. That way you’ll be able to enjoy another day of fun on the slopes. Laurentian Ski Hill has a wide variety of rental equipment. When you arrive at the rental shop you will be required to fill in a rental form. Please fill out the form completely and honestly, so we can properly fit you with appropriate equipment. If you are under 18, the form needs to be signed by a parent or guardian. A credit card is required to guarantee the equipment is returned. Our staff will provide all the information you will need to ensure your rental equipment fits and works properly and that you are comfortable and safe. Dress in layers with the outer layer being water resistant. Whether a beginner or more experienced, you’ll be working hard so you may want to shed a layer along the way. Wool mitts, jeans and sweatpants get covered in snow which melts leaving you wet and cold so water resistant outerwear is best. Everyone using Laurentian Ski Hill is expected to know and abide by the following Responsibility Code. Always show courtesy to others. There are elements of risk in snow sports that common sense and personal awareness can help reduce. Laurentian Ski Hill requires that all skiers, snowboarders and snow bladers know and obey the Alpine Responsibility Code set out below*. Know your ability level and stay within it. *Laurentian Ski Hill may revoke a lift ticket for violation of the code or for other unacceptable conduct. For ages 7 and up. Our Discover packages are the best way to get started. Plan to arrive at least 30 minutes before any of the lesson times so you can arrange rentals and prepare for your lesson.